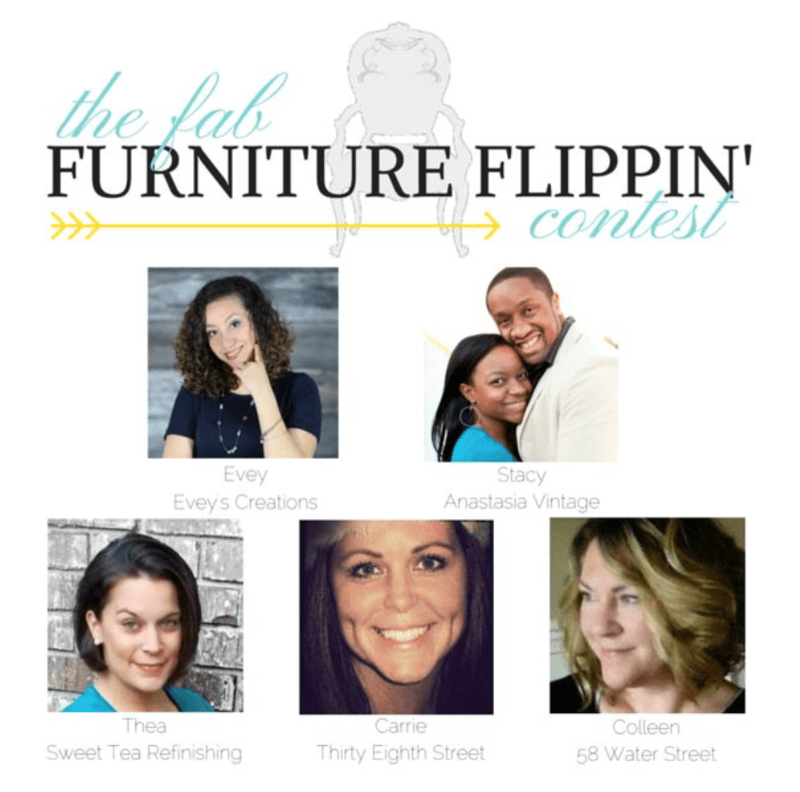 Today I’m back with a new Fab Furniture Flippin’ Contest project and this month theme is “Coastal Inspirations”. Being in summer and living on an island there wouldn’t be a better theme than this! But wait, because there is something that makes this project so awesome and it is Saltwash™. 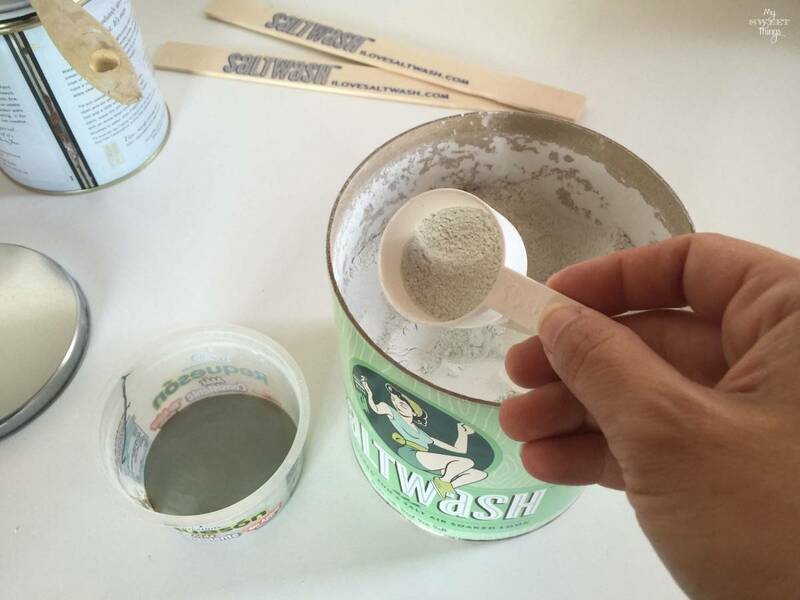 If you have not heard about it before, Saltwash™ is an additive invented to create a unique weather worn, layered sun and salt air soaked look in just two quick steps. 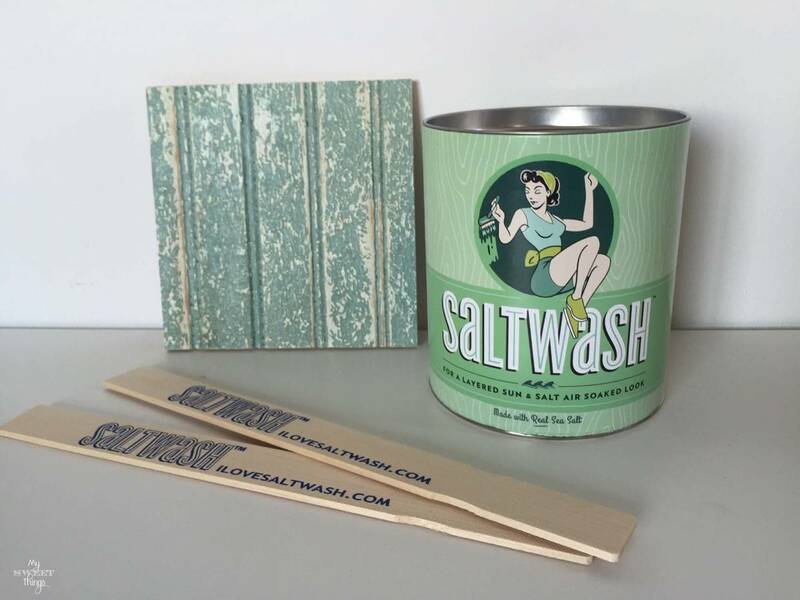 As it is made with real sea salt, you will notice it dries quicker and adheres to almost any surface that takes paint. Doesn’t it sound amazing? Searching through all my furniture waiting to be “updated”, I found this ugly filing cabinet that would be perfect for what I had in mind. I found it curbside one day while I was moving, and as soon as I saw it I stopped the car to check if it was worth taking it. It was in good condition and really heavy! Then looking at it I had an inner conflict about taking it or not. My junker side was telling me “take it, you can make something out of it”, but my adult side said “don’t you have enough stuff already? You are moving, aren’t you tired of carrying things back and forth to add another heavy thing to carry?” I was there, standing in front of it, debating myself for maybe about half a minute and then my junker side won. Yay!! Here’s a shot of the product and a painted sample, isn’t that logo cool? The weathered wood looks great too! I imagine using it for wall art with some quotes, it would look awesome too. My daughters were as excited as I was so they helped me with it. First, we took the drawers out. 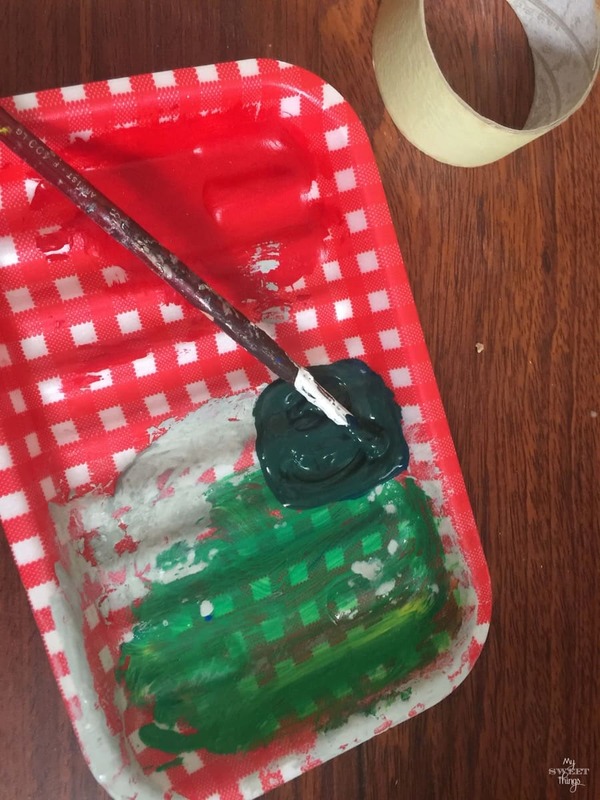 Then we prepared the paint. 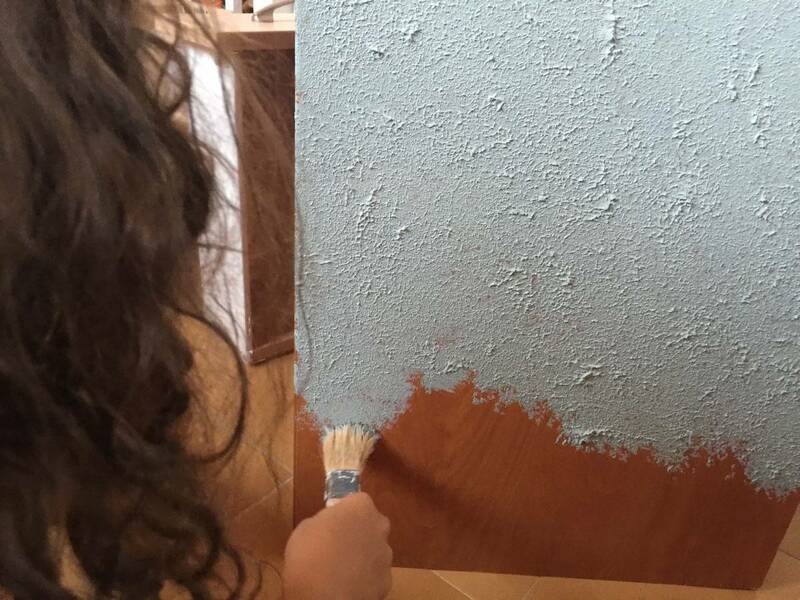 The good news about using Saltwash™ is that you can mix it with the paints you normally use and they won’t change the color. The goal is to get the mixture to a “cake batter” consistency in this step. 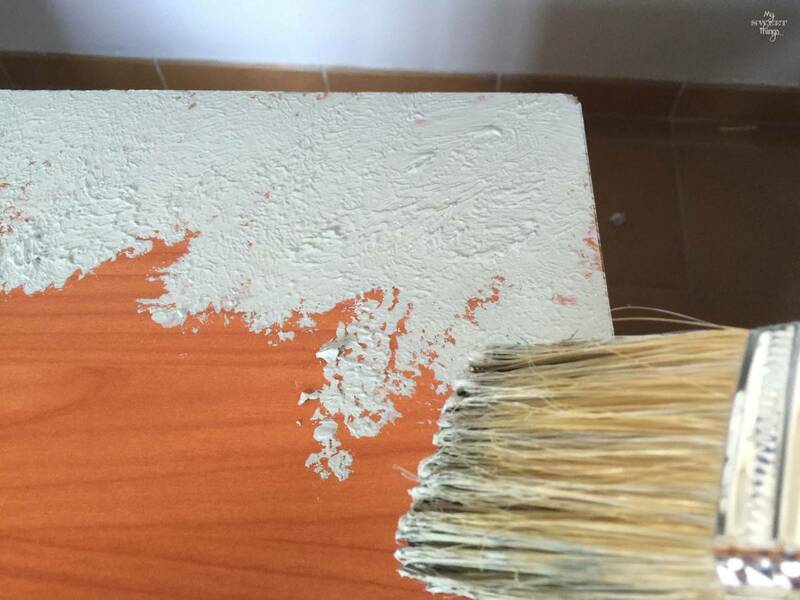 The fun part is that you are not using the ordinary paint technique, you glob it on. The girls and I had so much fun with this!! Here’s miss A helping me. When the paint was almost dry but still tacky I just smoothed the crests a bit and let it dry completely. 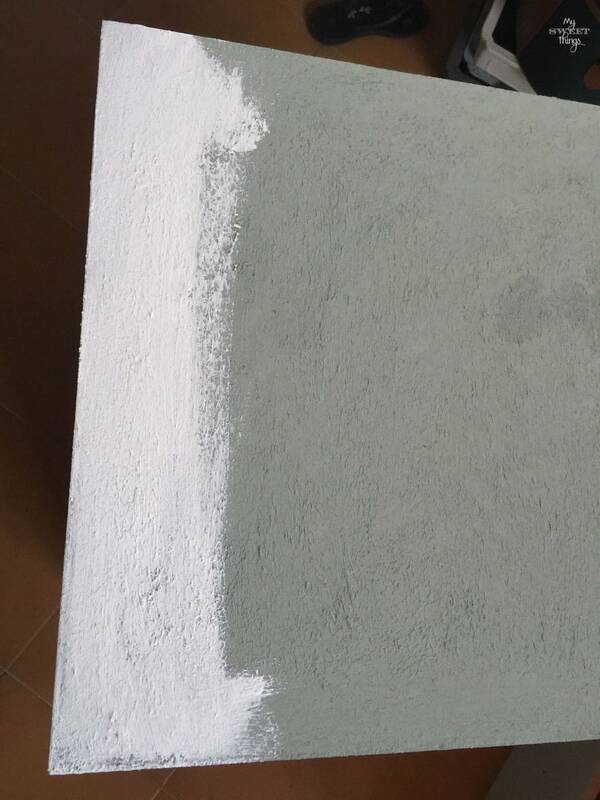 Then I added a layer of white paint on top. 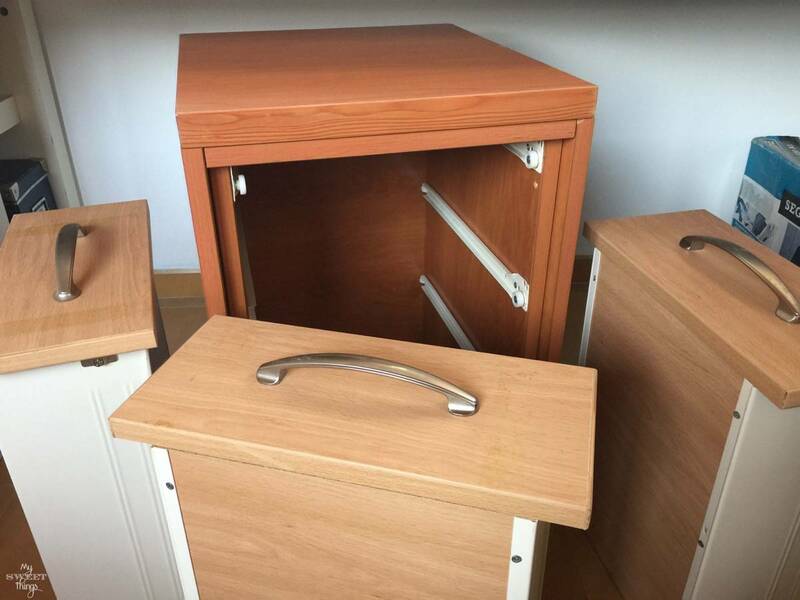 We did the same with the front of the drawers. 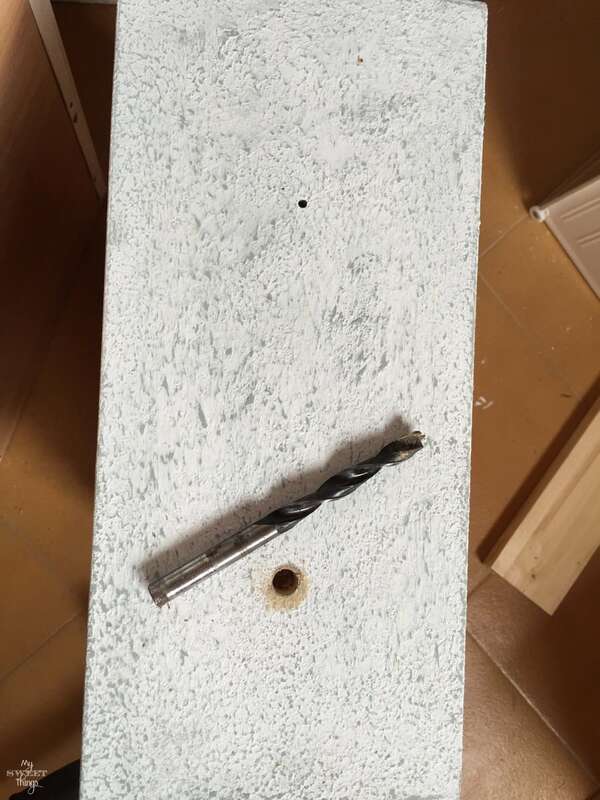 Once the white paint dried I took my mouse sander and sanded everything. Love how it looks!! 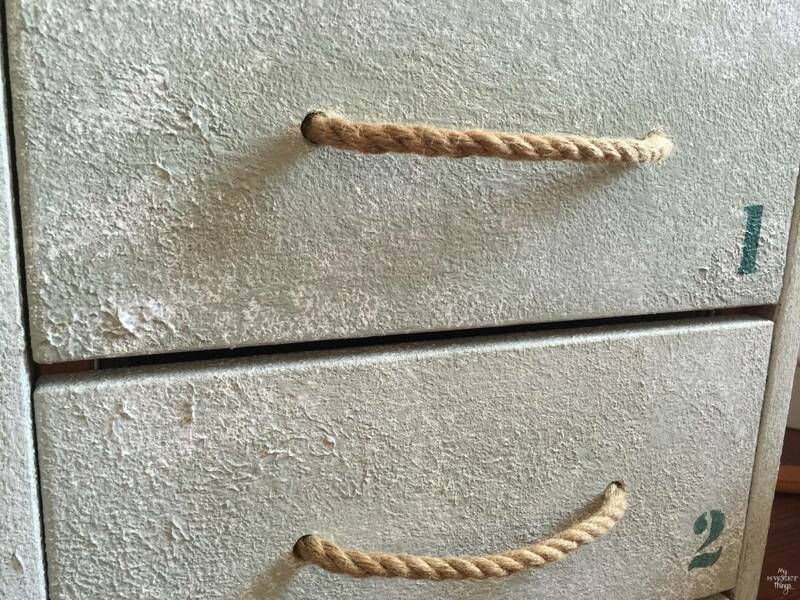 Then I thought I could replace the original hardware by some rope to give the cabinet a coastal look. I drilled bigger holes for the rope. I really really love the texture and weathered look it has. When I finished and looked at it, I felt it was a bit boring and needed something else. I decided to add different colors to the drawers in a gradient look, so I started the top drawer with the base color and then added white to make it lighter for the rest. 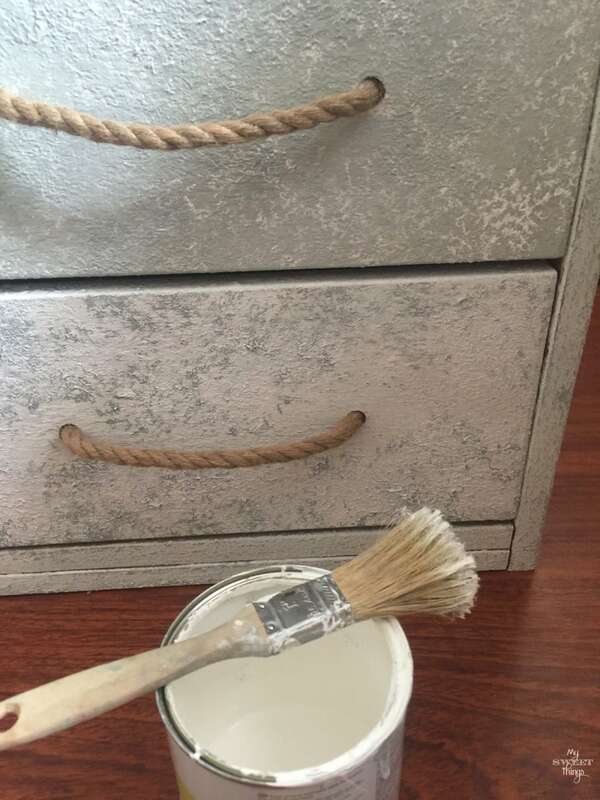 I used an old brush to dry paint with white the drawers to give some depth. 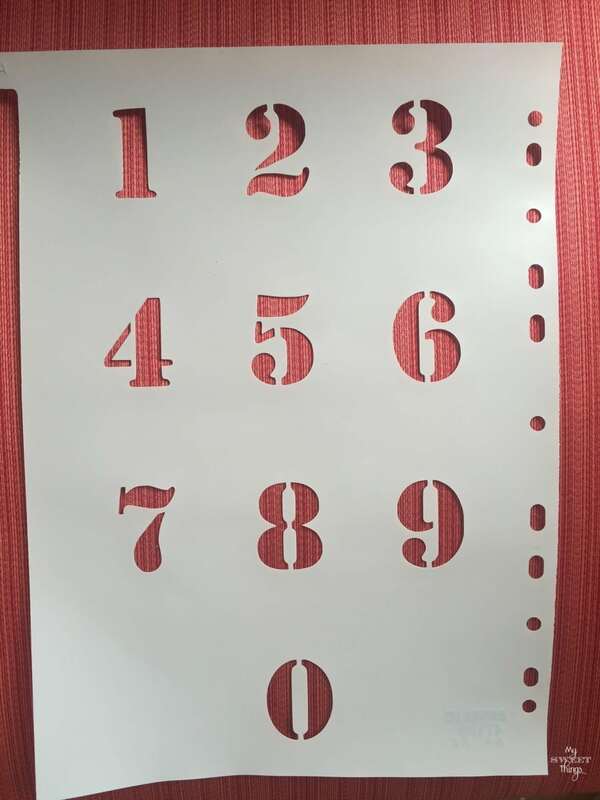 I cut some numbers with my Silhouette Cameo because I planned to stencil them. We mixed some blues and greens and end up with this pretty color for the numbers. So here it is the final result! It really seems to have spent part of its life at the front porch of a beach house. The texture… oh that texture, love it! What do you think? Do you like this type of furniture? You can see some of the projects our hosts have done this month, like Colleen‘s and Carrie‘s. Thanks so much for visiting! You can check the previous contest here or more at the Gallery. Disclosure: This is a sponsored post but all opinions are my own. You can read my Disclosure Policy. 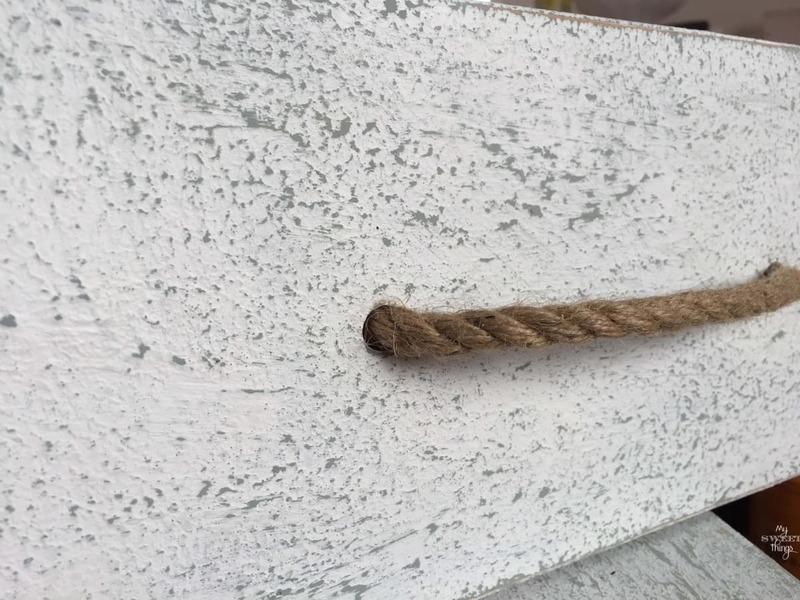 This entry was posted in Before & After and tagged Before & After, Coastal, Decor, DIY, Furniture, home decor, Paint, Recycle, Rope, Saltwash, Stencil, wood. I love the end result and I am glad your ‘junker” side won the battle of the curbside rescue! 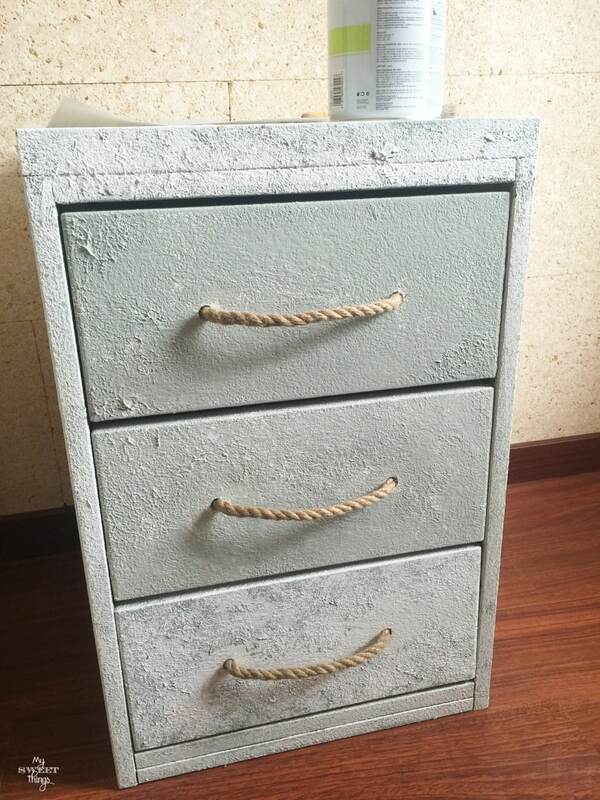 I love the added colors on the drawers and the topper is the rope handles! It is perfect. Thanks, Michelle!! Lately, my “junker” side is winning more and more battles. Let’s see what my hubby thinks about that when he gets back home lol. I absolutely love this! The rope handles totally completes it! I’m hitting the flea market Sunday & so hope I find one! Hi, Michelle!! Thank you so much, I like it very much too. Hope you had success at the flea market! This is gorgeous Pili. I can smell the sea water just by looking at it. What a rich sort of texture that is. And I like how you made it lighter as you went on. There is so much to see in this filing cabinet. And of course it is perfect for your home being that you are on an island. I can also think of many places to put it. Many thanks, Mary. I painted it solid at the beginning but it was too boring, so I ended up making an ombre. As it is placed next to the front door, it has the dog lead, his brush and some other things from him. You would never know that this was a filing cabinet! 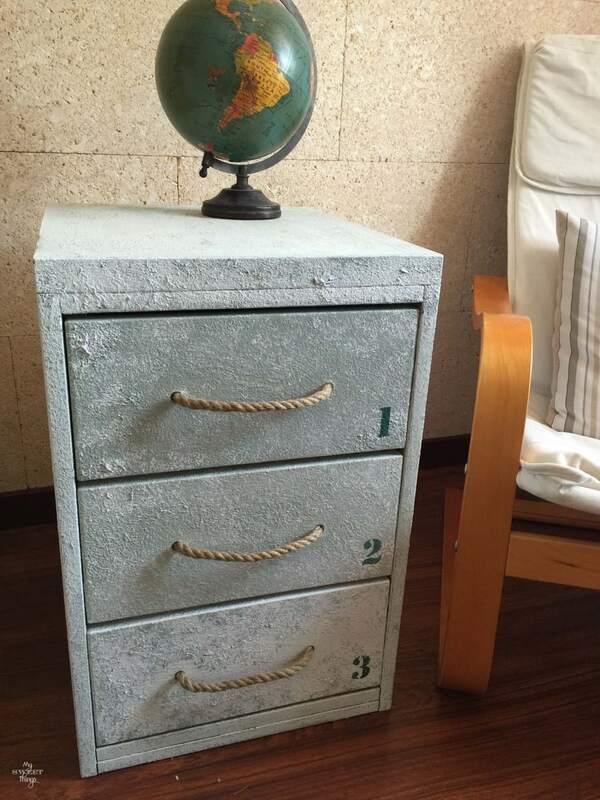 Love the rope handles and numbered drawers too! That was the idea, it was so ugly it needed some magic. Then Saltwash appeared and it was completely transformed. I love your interpretation of this. The rope handles are outstanding. I can so understand your argument with yourself about stopping by the curb but I am glad you did. Many thanks, Debra. When I took it I had no idea what to do with it, but thanks to Saltwash I’m happy to keep it. 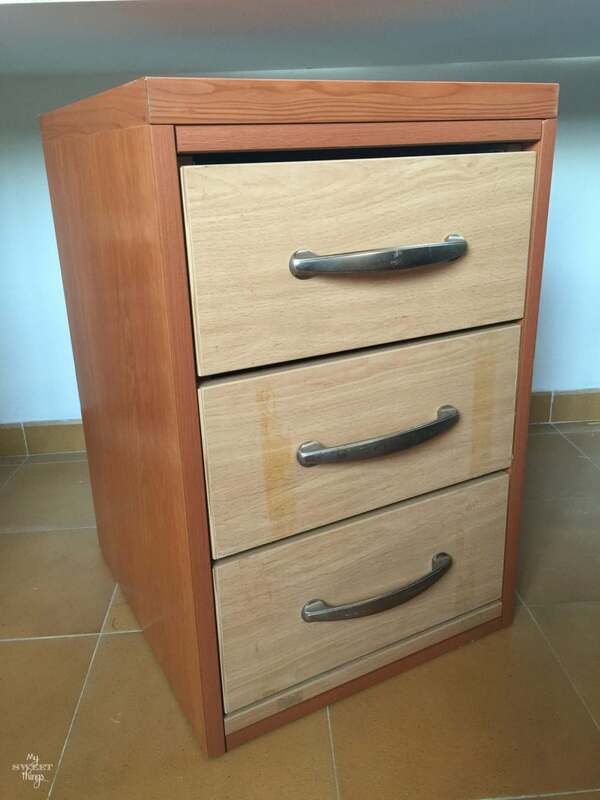 Pili, the new look you gave the filing cabinet is amazing!! What a vision you have for furniture! Love the saltwash look too!! 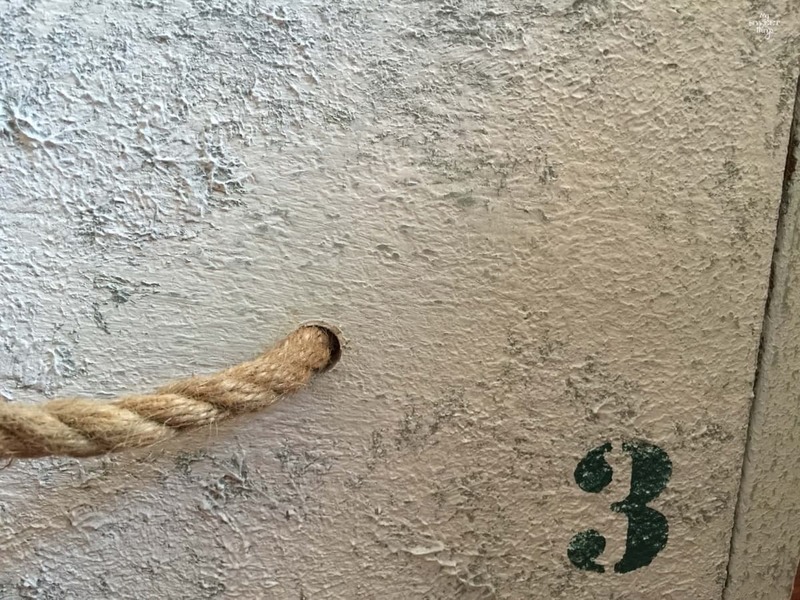 The stenciled numbers and the rope pulls are fantastic details to lend to the coastal appearance. You did an awesome job on this piece! You’re so sweet Keri, thanks so much for your comments. 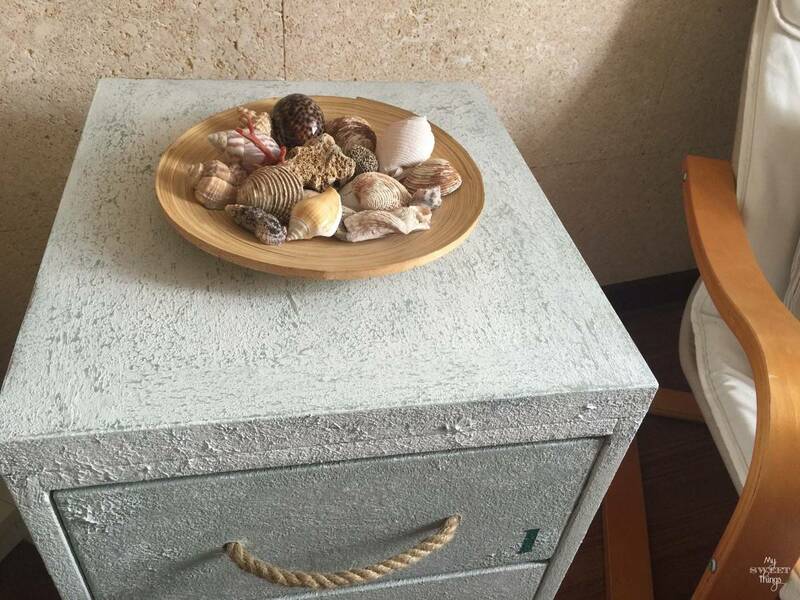 When I took it home I had no idea what to do with it, then suddenly I had that lightbulb moment and thought it would look great with a coastal look. I am keeping the handles it had for another project, let’s upcycle! 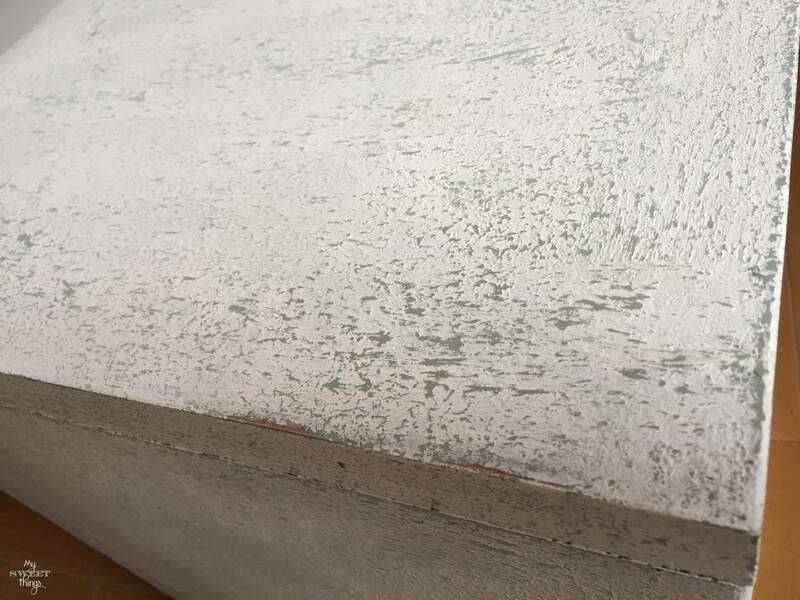 Love the finished seafoamy appearance! I can feel the waves! I need to improve my photography skills because the pictures don’t show the real texture, it’s amazing! Thanks for visiting, Sue! Enjoy the weekend! You turned that pressboard junker into a beach babe! Love the handle switcheroo and the numbers, nice job Pili! Thank you very much, Brenda! I really appreciate your comments! Christina, thank you so much for that compliment, you made my day!! Saltwash is really awesome, it comes from USA though so I don’t think you can find it locally. I guess the main issue are shipping costs, maybe to order some between some bloggers? 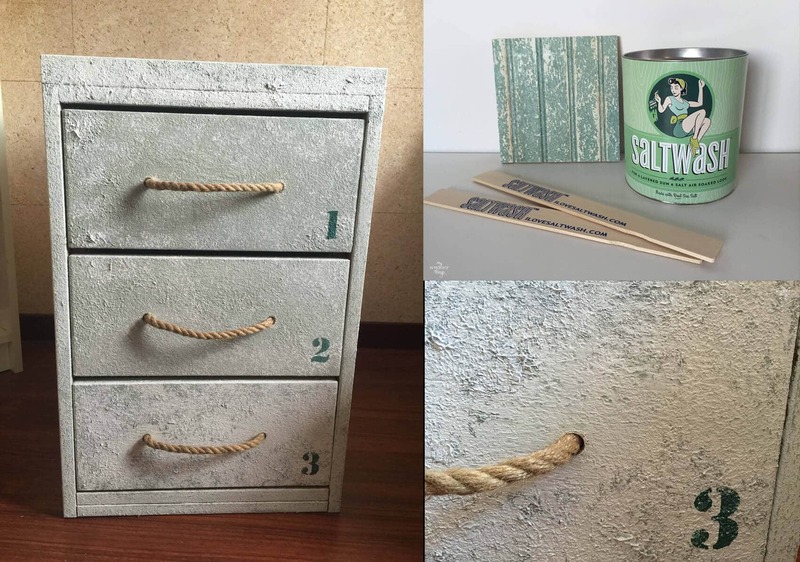 I love how the coastal filing cabinet turned out! It Beautiful! I am going to have to get me some of that salt wash, it looks like a fun paint technique.